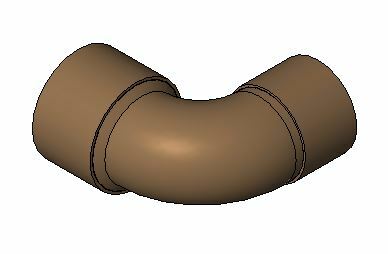 The 45-degree elbow features solder cups. The fitting provides a means of changing the pipeline direction by 45 degrees. Please refer to NIBCO technical data sheets and catalogs for engineering and installation information. In addition to its inherent qualities of beauty, durability and low maintenance, copper's reusability makes it an ideal application in sustainable projects. NIBCO® copper fittings are manufactured in an ISO 9001 certified facility, and backed by a 50-year limited warranty. Because of its longstanding reputation for innovation and precision in design and manufacturing, NIBCO is the preferred brand in the industry.